Barb Tomlin is a dynamic, results-driven professional. She is energized by challenges, steep learning curves, and cutting-edge technologies. She is highly skilled in increasing targeted visibility/brand awareness and closing sales. Her areas of expertise include melding of both online and offline marketing techniques and methodical processes into integrated marketing programs designed to generate the highest ROI. She has a rare talent for identifying and analyzing critical challenges and delivering effective, affordable solutions. Barb concentrates on providing strategic marketing, management and information technology consulting services to enterprises and individuals desiring to improve their market positions. Her most recent assignments have revolved around the indoor and outdoor hospitality and tourism trade, including major event venues and sponsors.Her innovative integrated marketing programs inspire purposeful action through the completion of strategically targeted, routine tasks such as viral marketing (networking and generating referrals), Internet marketing (email and Web applications), multimedia marketing (interactive CD and DVD productions), video marketing (DVD and Web Site edutainment), and exhibit marketing (seminars, tradeshows, special events). For more than 30 years Barb has provided strategic consulting, marketing, training, and event planning services. From 1994 through 2002, Barb served as Online Marketing and Communications Consultant for the Albuquerque International Balloon Fiesta. She is often recognized as one of the pre-eminent pioneers in the commercialization of online communication venues, having worked with several notable online communication and information service providers since 1991. Over the years Barb has planned, produced, marketed and taught programs on an eclectic group of marketing and communication subjects. She also promoted and presented seminars for other legendary trainers, including Tom Hopkins and Zig Ziglar. She has earned national recognition for her intuitive networking and marketing skills, most notably as a featured expert articles published in The New York Times, The Los Angeles Times, and Entrepreneur® magazine. Her commentary has also appeared in numerous Internet technology publications, including Web Week, Information Week and Internet World. She is credited for sharing her marketing expertise in the books, Marketing Online by Marcia Yudkin and Marketing on the Internet by Jan Zimmerman. 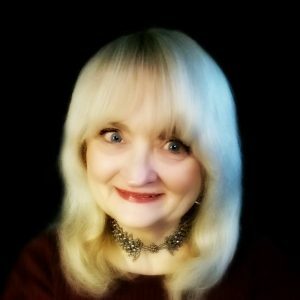 Barb Tomlin is based in Albuquerque, New Mexico where she serves as President/CEO of Westward Connections Inc., a leading multimedia marketing communications company recognized for delivering successful integrated marketing programs since 1986. The best way to reach Barb directly is through one of the social contact options she has posted on her about.me profile. © Copyright 2019 Westward Connections Inc. and/or Respective Content Providers. All Rights Reserved.